The stock fell up to 14.09% to 83.50 intra day in trade today. The small cap stock has fallen after four days of consecutive gain. The Kesoram Industries stock was trading lower today after the firm decided to hive off its tyre business during a board meeting held on Tuesday. The stock fell up to 14.09% to 83.50 intra day in trade today. The small cap stock has fallen after four days of consecutive gain. It has lost 37.38% since the beginning of this year and 41.09% during the last one year. 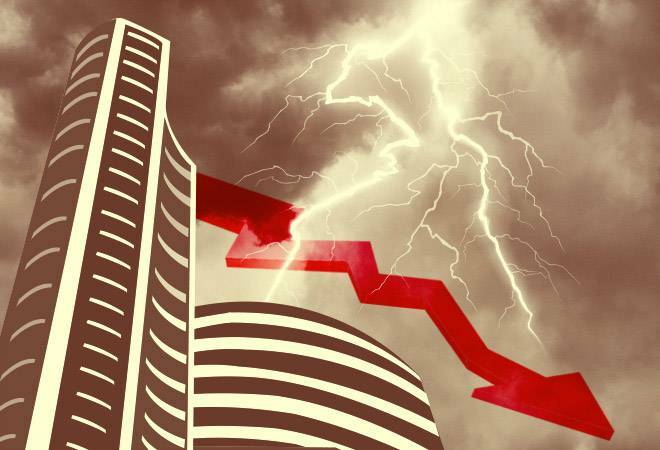 At 12:30 pm, the stock was trading 10.70% or 10.40 points lower at 86.80 level on the BSE. The demerger will take place on January 1, 2019. Kesoram Industries is a flagship company of the BK Birla Group of Companies and is primarily engaged in the business of cement and automobile tyres. The company markets cement under the Birla Shakti brand and automobile tyres under the brand name Birla Tyres. The firm in a communication to bourses said, "The process is expected to act as a stimulant for further investments into Birla Tyres Ltd (BTL). Resultantly, BTL will be benefitted through the revitalising of its existing product portfolio range by extension of reach into a much wider spectrum of tyre segments and markets; and leveraging of the positive brand image of Birla Tyres and the enormous brand equity of the "Birla" name to take on a rapidly growing yet discerning tyre market." "With the proposed spin-off, Kesoram's focus on both its Cement and Tyre businesses will get even further sharpened and pave the way for their robust growth," it added. The firm will list Birla Tyres on the bourses next year and help raise capital for the business to expand. This is the second round of major restructuring to help reduce unsustainable debt for Kesoram by an estimated amount of Rs 1,000 crore. "We are open for investors but will continue to be in the business of tyres," Kesoram CFO Radhakrishnan told PTI. "Currently, the estimated debt worth Rs 1000 crore of Kesoram is expected to be transferred to Birla Tyres Ltd. The company has been continuously paring debt which currently stands at Rs 3,500 crore," he said. The restructuring will help Birla Tyres to venture into high margin automotive radial tyres with help of a strategic investor. The turnover of the demerged tyre division is Rs 1453 crores which is 39 per cent of the total company topline as on last fiscal. The tyre business made a loss of Rs 129 crore in 2017-18 up from Rs 67 crore loss in 2016-17. Kesoram shareholders will get one share of Rs 10 each of Birla Tyres Ltd for each share held in the company. The proposed demerger shall be subject to the approval by National Company Law Tribunal. Post demerger, Kesoram will retain cement business with plants in Karnataka and Telegana having combined installed capacity of 7.5 million tonnes. It also has a rayon division. Kesoram had posted a standalone loss of Rs 463 crore in 2017-18 while, the consolidated loss was Rs 577 crore.